The gospel can be confusing. What exactly should be included in the presentation of it? What does God require of us to receive forgiveness of our sins? How do we receive the gift of eternal life? 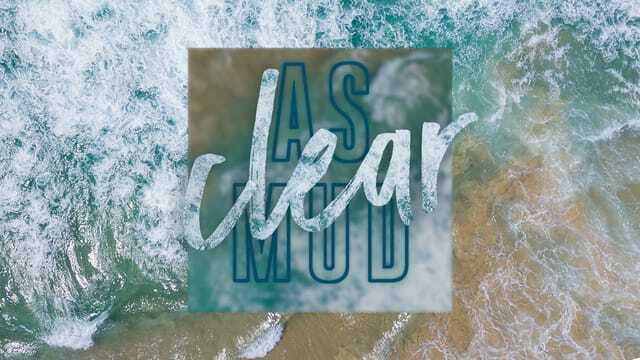 Our current series, Clear as Mud, will answer these questions and more. No message is more important than the gospel—so, let’s clear it up. http://www.theridge.church/dodgeball TODAY, October 28th—Students in 6th-12th grade are invited to the gym between the morning services this Sunday! Play dodgeball and enjoy some delicious donuts! Parents are invited, too—mingle with other parents, and meet the Ridge Students staff and small group leaders. Join us in the gym at 10:15am! TODAY, October 28th—The Ridge Students middle school and high school room on the second floor is now completely renovated! Everyone is invited to explore this brand new space during the Open House! Meet us on the second floor after either morning service to check it out! http://www.theridge.church/rvl Friday, November 2nd - Sunday, November 4th—You’re invited to a three day conference at The Ridge! Ray Vander Laan will be preaching and sharing his research, messages, Biblical stories, and how those stories often relate to everyday life. RVL will be delivering the message at the 9am and 11am services on Sunday, November 4th—no tickets are required for Sunday. You can register to attend the Friday and Saturday sessions online. http://www.theridge.church/now Sunday, November 4th—Night of Worship is a special event filled with music and praise at The Ridge! This event will take place of the 5pm service, and all are welcome to attend. Invite your family and friends, and join us in the auditorium to enjoy the music as the band sings some of your favorite songs! Problem: People worry they can lose their relationship with God. Solution: When you believe in Jesus, you become God's child forever. The first blessing is that we are ADOPTED. The second blessing is that we are REDEEMED. The third blessing is that we are SEALED. God, I believe that the Risen Lord Jesus Christ is your Son and that He died in my place and for my sins. Today, I am trusting in you alone for the forgiveness of my sins and the gift of eternal life. Thank you for adopting me into your family! Amen. When you believed in Jesus, you became God’s child forever. When you believed in Jesus, you became God' s child forever.